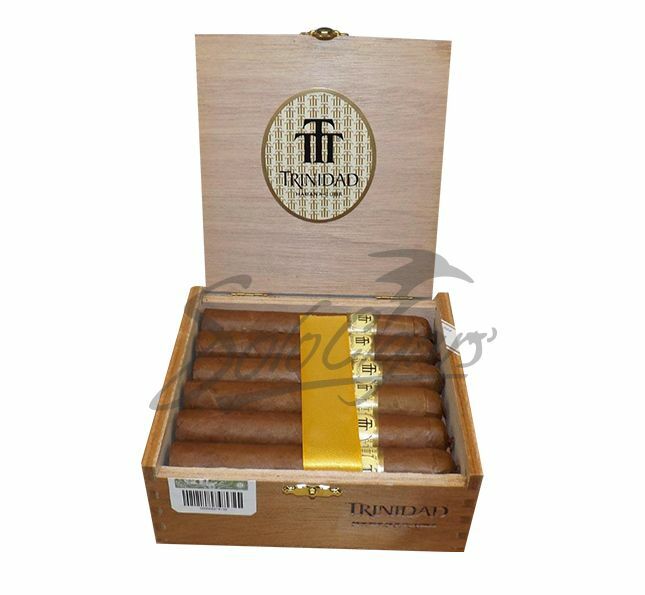 Trinidad Robusto T cigars were extremely ranked as being some of the most spectacular, good- looking and delicious cigars of the Trinidad brand. After all, that elegant, light brown wrapper is a sight to see. With only a few thin veins scattered alongside the cigar and with that peppery pre- dawn it is obvious that these cigars would have softened the hearts of even the most critical smokers from the world. Unfortunately, the chances to smoke a matured cigar filled with flavors are extremely small these days. However, this thing can happen if you don’t pick the right cigar to smoke. If you’ve chosen to smoke a Robusto T than you are a lucky person as a more delicious cigar than that one you will never find. The first third of the cigar will make you tremble of excitement with countless flavors as pepper, cedar, nutmeg, sweetness and so on. The second third is more intense and if you love the taste of chocolate you will definitely love the second part of this cigar. The last part is full of surprises, complexity and strength.